Enjoy Yourself at Two of the Most Luxurious Hotels in Costa Rica. 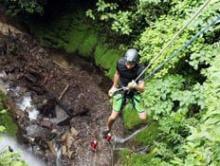 Revitalize your spirit with an exciting visit to Costa Rica! With this vacation package, find adventure near the magnificent Arenal volcano and relax at one of the Costa Rica’s best all-inclusive hotels. Say hello to endless sunshine and postcard vistas of Arenal Volcano and Guanacaste’s white-sand beaches. Your trip ends on a high note at one of the country’s best all-inclusive resorts. To kick start your relaxation, you will be staying at the hotel with the best view of the Arenal volcano in the country—Arenal Kioro. Here you can stroll through the incredible landscaped gardens before enjoying a great lunch, dip into secluded hot springs, and get a glass of something special in the well-equipped pool bar. Explore much of what the area has to offer with two iconic tours. First, explore the rainforest the region is famous for, with a combo tour including an aerial tram, hanging bridges, and a thrilling zip line ride. The second part of this vacation package takes you to the Westin Conchal, a five-star all-inclusive resort right on one of the best beaches in the country. At the Westin your relaxation is their priority. With eight restaurants and five bars, nightly shows, a Kids Club,a huge pool, and limitless activities, you might just have the best vacation ever! Fly into Liberia where one of our representatives will meet you and show you to your private transfer. After a pleasant, three-hour ride through the picturesque Costa Rican landscape, arrive at the Arenal Kioro Hotel, nestled at the very base of the stunning Arenal volcano. Get the most out of your time in the area with a combo rainforest tour. You’ll explore the jungle from three angles: an aerial tram, hanging bridges, and a zip line. Take in the fresh air and sweet silence of the nature that makes the country an ecotourism mecca. Settle in and enjoy the luxury amenities, thermal hot springs, and great dining at this five-star luxury boutique hotel. A private transfer will take you to Guanacaste’s famous, white-sand Conchal Beach, where you will stay at one of the best Costa Rica all-inclusive resorts—The Westin Conchal. No trip to the beach is complete without an ocean sunset, and you’ll enjoy one of the best. Take a lovely boat ride, complete with beverages and snacks, plus the chance to snorkel and kayak in the waters of the Pacific Ocean. Make the most out of your stay at The Westin. Enjoy diverse, world-class cuisine in eight different restaurants and relax yourself at the lagoon-style pool or visit an adult-only private beach club. Enjoy the warm, white-sand, palm-lined beach or have a rejuvenating experience in the tranquil surroundings of the spa. A private transfer will take you to Liberia International Airport where you catch your flight back home. 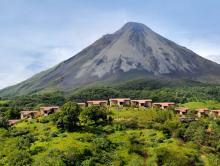 Arenal Kioro offers fabulous accommodations with the best view of the Arenal Volcano in the entire country. 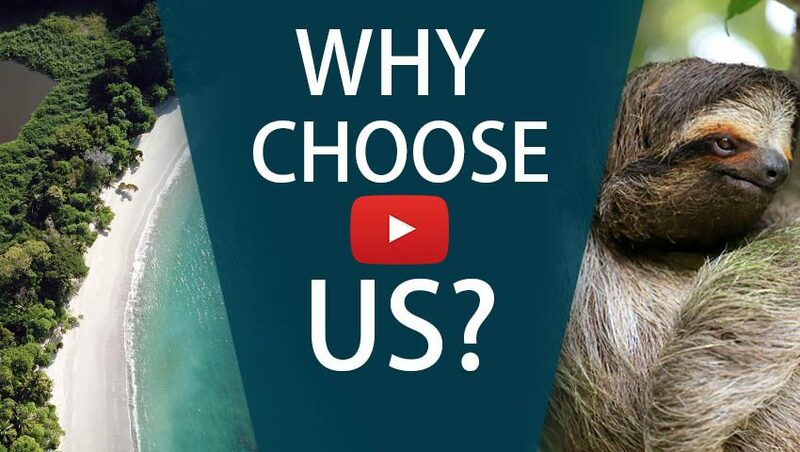 Enjoy a relaxing ride on the waves, then dive into the ocean to snorkel or swim!